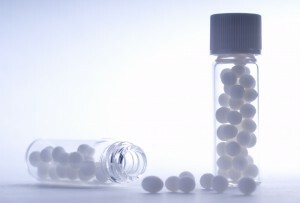 In 2010, the UK Parliament’s science and technology committee published a report which has been widely criticised by homeopathic practitioners, patients and the government. The report itself was only approved by 3 of the committee’s members but has been referred to extensively by anti-homeopathy campaigners. I have been working with the homeopathic registers to create a website detailing information about the report and why it has been criticised. You can read more here about the science and technology committee report on homeopathy. Homoeopathy often comes under attack by those that claim it is unscientific. Homoeopathy however, is just like any other science that challenges the boundaries of conventional thinking. Throughout history, respected scientists have been criticised for new ideas which challenge the status quo but without those willing to look outside the conventional paradigm we would not have many of the inventions and discoveries that we now take for granted. Nothing is gained in science by sticking to what is already known and no idea that forces a rethink of our preconceived ideas comes without opposition. All branches of science such as neuroscience and quantum physics have people with opposing views. Homeopathy is no different and has its critics as well as its followers. In that respect, homeopathy is just another science.